It's easy to get started. Please email me for a no-obligation consultation. Background:Taylor comes from an extensive family background of financial planners in the Metro Detroit area. He is a Registered Representative of Cetera Advisor Networks LLC, member FINRA/SIPC. He obtained his Bachelor of Arts degree in Business Finance from Brigham Young University’s Marriott School of Management. He currently holds his Series 7, 63 and 66 registrations. 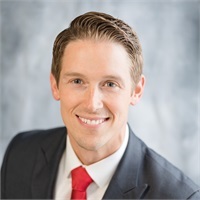 He is also licensed for annuities, and health and life insurances.Taylor has previous experience in sales management for Firstline and Platinum Security companies. He is trilingual (Spanish and Portuguese). He has been married to his beautiful wife, Kerry, for 3 years. They are enjoying their time as new parents of their son, Jaxon. Securities and advisory services offered through Cetera Advisor Networks LLC, member FINRA, SIPC. Cetera is under separate ownership from any other named entity. Cetera Advisor Networks LLC is not an affiliate of Genisys Credit Union. Mutual funds, annuities and other investments available through Cetera Advisor Networks LLC are not insured by the FDIC, NCUSIF or any federal government agency, are not deposits, or obligations of nor guaranteed by Genisys Credit Union, or any other affiliated entity. Investments are subject to investment risks including loss of principal invested.